For nearly half a century, the Sisters of Charity of Seton Hill have been working with and ministering to the people of the Republic of South Korea. Four Sisters of Charity traveled by freighter in 1960 to Korea to begin learning the culture and language. Two years later they were teaching and administering at the St. Joseph School for Girls in Kwang-ju. Today, 203 Sisters of Charity of Seton Hill serve in the Korean Province and in 11 dioceses there. Several American sisters are members of the Korean Province, but the majority of its members are native Korean women. Each year, at least one American Sister of Charity volunteers to serve in Korea teaching English as a second language to both sisters and students. Our ministries in the Korean Province are varied and include a school for children who are blind, another school for children with physical disabilities, and a bakery that teaches vocational skills to young adults with physical disabilities. The Korean Province responded to an invitation to extend ministry to Ecuador by sending four sisters to serve in a clinic and school for physically and mentally-challenged children in March 2008. Each summer, sisters from both the Korean and United States Provinces participate in the annual Interprovincial Experience of Charism and Mission. The sister gather at the generalate in Chicago for presentations, reflection, prayer, and sharing on Saints Elizabeth Ann Seton, Vincent DePaul and Louise DeMarillac, and on the heritage and traditions as Sisters of Charity before traveling to Ecuador to minister in the school and medical clinic in Pedro Carbo. 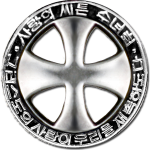 Visit the Sisters of Charity of Seton Hill Korean Province website, translations are available through your browser’s settings.